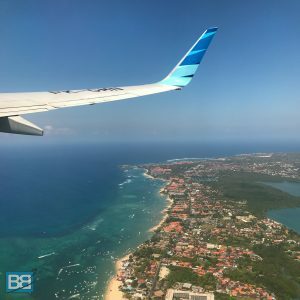 Ok so let’s be open and honest straight up about this – there actually isn’t such a thing as a Bali visa on arrival or Bali visa extension! Bali is actually part of Indonesia – so in actual fact you’re going to be sorting and Indonesian visa on arrival and extending your Indonesian visa!But if you’ve got to this post I’m going to assume that you’re heading to Bai and will be doing all your visa stuff in the lovely Island of the Gods! Free Visa or Paid Visa? 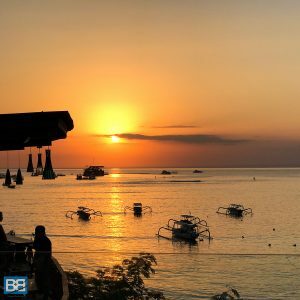 Bali Visa Extension – What’s The Deal? So How Does The Bali Visa Extension Work? So Can I Travel Whilst My Passport and Visa Are Being Sorted? Enjoy Your Time In Bali And Indonesia! In the last few years Bali and Indonesia have changed their policy to include a free Indonesia visa on arrival for many nationalities (140 in fact!) which include the likes of the United Kingdom, Australia, United States, Canada and Ireland. This free visa is for tourism purposes only and allows you to stay in Bali/Indonesia for up to 30 days. That’s great for everyone staying for that period of time (yaaaaay for saving money!) however this free visa is NOT EXTENDABLE. So if you love Indo heaps or the surf is pumping you’ll have to do a visa run out to another country. The other option which IS EXTENDABLE is the visa on arrival. This cost $35USD but is open to less countries, however this does again include the UK, USA, Canada and Ireland. Again your initial visa is valid for up to 30 days but this time you have the option to extend for an additional 30 days (so 60 days total). 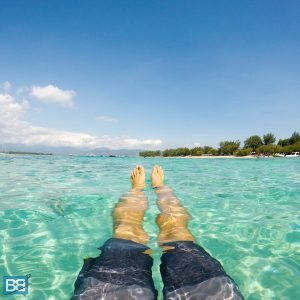 So if you already want to stay in Bali or Indonesia longer than 30 days, or are thinking that you might the paid visa on arrival is the way to go. On arrival at Balis Denpasar Airport you’ll have two option when heading to immigration – for those opting for the free visa on arrival there counters on the right hand side of the hall are where you need to head. A word of warning – the lines here can be super hectic, especially at peak times of the day and you could find yourself in line for well over an hour, so be patient and make sure you have both your passport and boarding pass to hand. For those who want the option for a Bali visa extension or simply wanting to skip the long line you can head for the small counter in the middle of the hall (which often looks un manned but there’s always someone tucked away in there!) where you can buy your visa on arrival. This can be done in cash (preferably new, uncreased $USD or IDR) but you can now also pay on card too if you want – great news for those with no fees abroad like with Starling Bank! Once you’ve got your payment receipt you can head to line 2 and 3 signposted “Visa On Arrival” and waltz through pretty quickly – where you’ll be stamped in with your first 30 day visa. Ok so you’re in Bali, having an epic time, have your paid, extendable visa on arrival and want to stay longer since there’s so many things to do in Bali. What’s the deal with your Bali visa extension? Well for eligible countries you can extend your visa to a maximum of 60 days and you have two options for doing so. The first is to sort everything yourself – which includes 3 trips to the immigration office and filling out all your paperwork. For those who want to spend more time enjoying Bali and less time messing around with long lines at immigration offices and negotiating the notorious Bali traffic the easiest (but slightly more costly option) is to use a Bali Visa Agent to get all your stuff sorted. Personally it’s the option I use and recommend as it takes out heaps of hassle! So how do you pick a Bali visa agent? It can be a tricky business as there’s always a few scammers around and you’re going to be handing over your passport – which is always a nerve racking experience in a foreign country! A quick google search will pull up a whole heap of results – but personally I’ve used Visa4Bali a few times (nope this isn’t an ad or paid promotion!) and they’ve proven reliable, helpful and most importantly I’ve had absolutely no issues with leaving/re entering the country with their visa extensions! Personally recommendations are always the best on these kind of things so if you guys have used anyone else (good or bad!) let me know in the comments! Admittedly yes, if you do your visa extension yourself it will work out cheaper – but when you factor in all the running around you need to do and 3 trips to the immigration office you’ll probably come to the same conclusion I did…it’s easier to pay someone else to sort it, especially when you consider the price. The second is their Express version which costs 100,000IDR more – so 750,000IDR – which works out approx £38/$75AUD/$56USD and then only takes 7-8 business days to sort. Most people opt for the cheaper, slower option – which is no worries unless you’re leaving to explore more of Indonesia and not returning to Bali. With both options you can simply drop the guys a What’s App message or email, they’ll ask a few questions about your nationality, arrival date and also for a picture of your current visa to double check everything is ok to extend. Who Wouldn’t Want More Time Here?! A driver will then head to your accommodation to collect your passport. Yes, I know that sounds terrifying but they do give you a receipt and I always make note to take a picture of them, my passport and their moped just incase – something I suggest you do as well. Their team then get everything sorted for your extension and fill out all your forms and do all the boring stuff at the immigration office for you. Saving you two trips. The only trip you still need to make to immigration is to get your photo and fingerprints taken. Visa4Bali will ping you a message a day or so before telling you your appointment time – you just turn up, take a ticket and wait in line with your immigration agent. Be aware sometimes this can still take a while. On some occasions I’ve been stuck there fro upwards of 4 hours (admittedly with another visa extension company) and sometimes it takes less than 15 mins. Basically don’t plan anything big for that day just in case! Once you’ve had your photo and fingerprints done you simply hand your forms back to the visa agent, say thanks and head back to the beach. A few days later they’ll message saying everything is sorted and then a driver will come meet you, return your passport and take payment. Boom – you’re now allowed to stay in Bali and Indonesia for up to 60 days total! Make The Most Of Your Time In Indo! Usually travelling around Bali and indeed exploring the rest of Indonesia whilst your passport is with the immigration guys is no worries at all. I took a trip from Bali to Komodo National Park whilst my visa was being processed and could use my UK driving license for the internal flight. You can request a note from your immigration agent to explain why you dont have your passport and I’d always suggest having a photocopy/photo of your passport incase anyone askas. But I’ve never had any issues. So there you have it – extending your visa in Bali is actually a pretty easy and cheap process – so there’s no excuse not to spend more time exploring this beautiful part of the world! 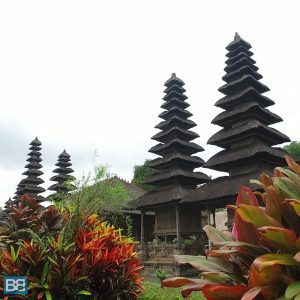 Check out my Indonesia travel section for heaps more advice on travelling around Bali and Indonesia, tour reviews and even a full budget breakdown of the main costs in Bali. PLEASE NOTE: Visa requirement are constantly changing and all info was correct at the time of writing. I’m not responsible for any issues with visa as a result of the advice on this site and it’s your sole responsibility to double check the latest visa requirements for Indonesia and your passport. Insightful post. I’m definitely going to use your advice whenever I decide to travel to Bali. Thanks so much!